I spent all of last week at home, both due to snow and to a nasty cold that I haven't quite been able to shake. By Friday, I was ready to get out of the house! Donnie took the weekend off, our boys stayed with grandparent's, and we had a little weekend getaway to snowy Lancaster, easily one of my favorite nearby destinations. We braved the cold to do a bit of shopping and antique browsing, consumed lots of delicious food and warm coffee, and enjoyed two uninterrupted nights of sleep! I think most parents can appreciate that last one, right? This lovely grand building is a four story antique store that was formerly a mill. It was my favorite part of our trip, mostly thanks to the sweet lady who runs the shop. She was so friendly and gave us tips for other good antique and thrift stores to visit. This place is definitely worth checking out! You can find more information here. This is actually the view behind the antique store. When you put aside the whole having to shovel and cleaning off cars, snow is really quite beautiful! There is no shortage of farm animals in the Lancaster area, but these guys were extra cute! I made Donnie turn around, so I could get a photo. I had to resist the urge to run over and hug each of them, although I probably would have gotten kicked before I made it that close! I'm ending this post with a photo of the seriously amazing Nutty Elsie's Pie from The Kling House Restaurant. This slice of heaven is a cross between a freshly baked chocolate chip cookie and pecan pie. Delicious! I love these doll face brooches, but they are a pain to glue. I'm happy with how she turned out, though. This Valentines themed gal is a commission for a friend. I'll be making a few more of these in the next week or so! The bear on the left is a belated birthday gift for a friend who really loves purple. He's my favorite! The guy on the right is for a Valentines Day swap I signed up for on Instagram. I really have fun making these little ornaments! I have a hatbox full of vintage buttons that's been around since I was a teenager. I've been sorting out pairs to turn into earrings and cute single buttons for rings and hairpins. These have been shipped off to a friend, but I think I will make some for myself! We recently spent a weekend at my grandparent's house where the boys got to have a pirate party with their cousin, Liam. 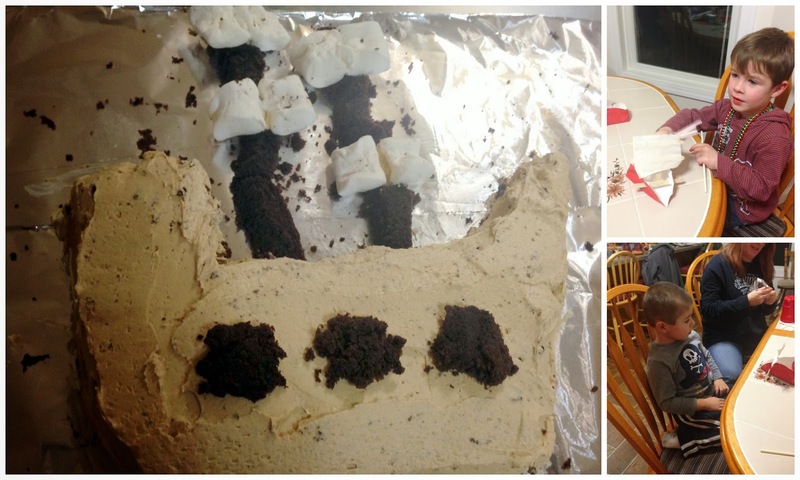 There were cakes shaped like a pirate ship and a pirate hat, crafts, and a treasure hunt! 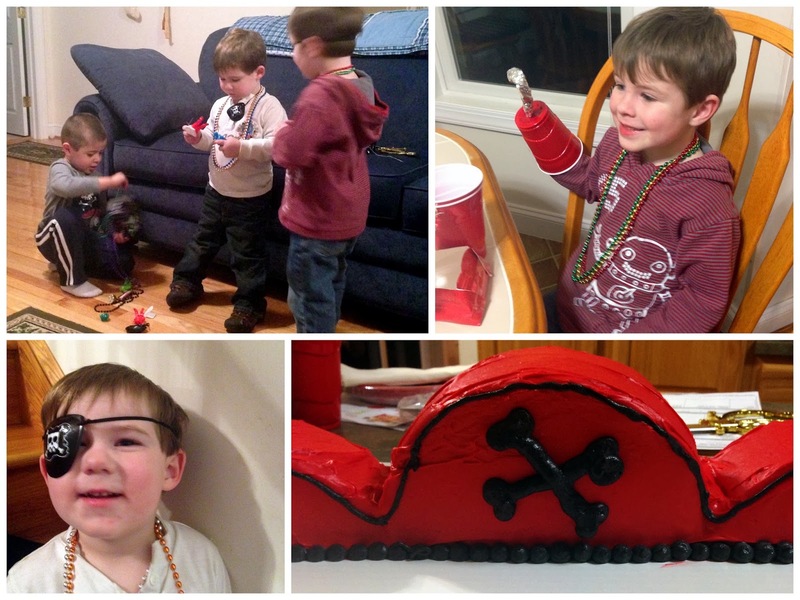 If your little buccaneers want to have their own pirate party, you can get some great ideas here. I think it's pretty clear that I enjoy thrifting and tend to find a whole lot of goodies, probably more goodies than one person needs! I've decided to do a bit of downsizing and try my hand at selling some of my finds on Instagram. 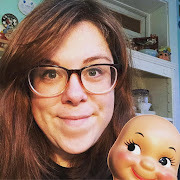 There are lots of shops popping up on Instagram and there seems to also be a lot of fellow vintage lovers, so I am hoping I will have some luck with my shop, The Thrifty Doll! Check out my shop's feed for some previews of what's to come and stop by on February 1st to do some shopping! I think most everyone who reads my blog knows that I work with victims of domestic violence as a legal advocate. I really love the work that I do, albeit frustrating at times. I work at a very small agency and although we have been around since the early 1970s, we somehow still remain hidden from many in the community. When I first started over five years ago, we put out a newsletter and I think it helped get our name out there. When the lady who was responsible for putting our newsletter together retired a few years ago, it just sort of fell by the wayside. We recently decided to get it out there again and it became a collaboration amongst my coworkers and myself. I am proud to have a part in getting our agency back out there and want to share a link here, so that others may see our relaunched newsletter. A coworker and I are already hard at work at the next volume and hope to have it completed soon! You can find our first newsletter here. I bought myself a Kindle Fire recently and it's made me remember how much I utterly enjoy getting sucked into a good book! I used to spend a lot of time reading, but these days I mostly stick to children's books. I'm already on my fifth and sixth (I'm going back and forth between a novel and some short stories) books of the year and thought I would share some of the books I've enjoyed. You can follow me on Goodreads to see what I'm reading and I always welcome suggestions for new books! 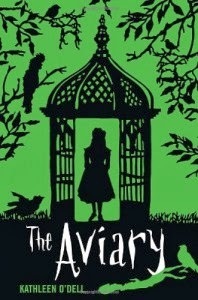 The Aviary by Kathleen O'Dell is the kind of book that I think I most enjoy reading, a sort of wonderful fairytales. It's laced with magical elements and involves a mystery that is left to be solved by Clara, the books main character, a young girl who's been shut-in her whole life. 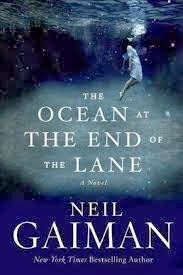 The Ocean at the End of the Lane by Neil Gaiman- How have I never read any of Mr. Gaiman's books before now?! Considering he's married to one of my absolute idols and is responsible for one of my very favorite Doctor Who episodes, you would have thought I'd already be a huge fan! Well I certainly am now and will definitely be checking out some of his other stories. This is another book I'd describe as a wonderful fairytale! 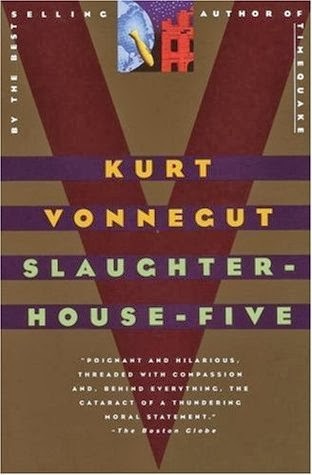 Slaughterhouse Five by Kurt Vonnegut is a book I was sure I had read in high school, but I think I must have been mistaken. I would have remembered a story about a time traveling soldier! I really loved this story and will add more Vonnegut books to my library soon. I'm sure this book falls on a list of books everyone should read, so better late than never! I really adore Jenny Lewis. This is an older one, but I just love the song and its video. I feel a bit out of the musical loop these days, so I mostly stick with my favorites and every once in awhile I stumble upon something new. I used to follow a lot of music blogs, but they don't seem to be so popular anymore. Anyone have some good musical suggestions? I listen to just about anything, from bluegrass to hip hop, but I tend to mostly listen to indie rock and I'm a sucker for a song that tells a good story! This is just a small collection and not something that I really seek out, but a cute little collection nonetheless! The teeth cups aren't actually part of the collection, but I think they fit nicely. I've shared quite a few collections here and now I want to know what you collect. Leave me a comment below with some of your collections! I mentioned in a post earlier this week that my craft room is a really happy space. I like to refer to it as my happy place and it really is just that! I shared a few photos of my craft room in a post here, but the room has had a few changes and additions since that post. I have filled the room with silly little things I love and one of those things is pretty little vintage tin plates. These would have been part of a tea or dish set and have such lovely images and patterns. I have collected a few of the tin tea cups too and have lined them up along the transom above the door. I can't help but smile as I sit at my table and make little crafts. I bet this collection will make you smile too! Have you noticed that llamas are seriously cute?! 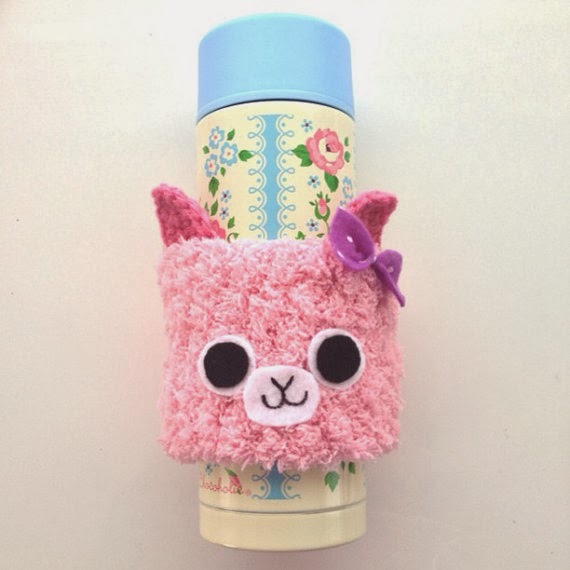 I think some people must have picked up on it, because there are some pretty darn adorable llama items online! Here are some of my favorites! 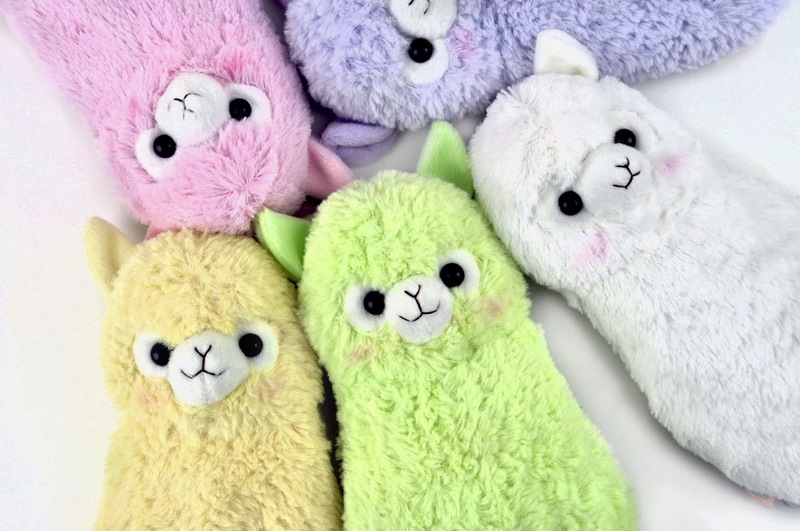 These are actually pencil cases, but if you search for Arpakasso or Alpacasso, you will get all kinds of seriously kawaii plush goods. You can find these here. 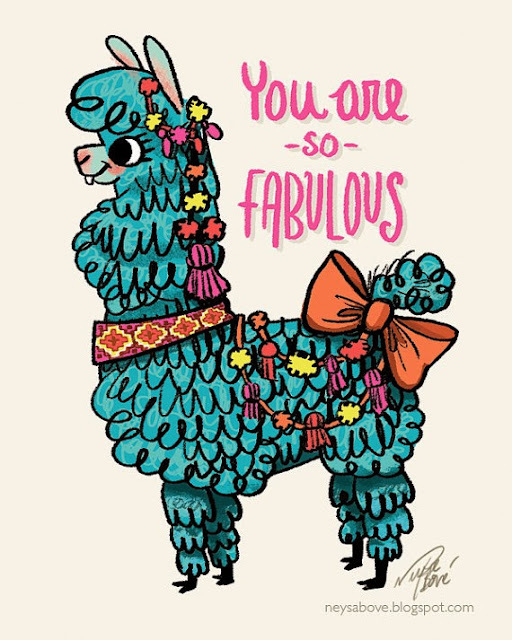 This fabulous llama is available as a print or a card! You can find them at The Fancy Fox Shop. 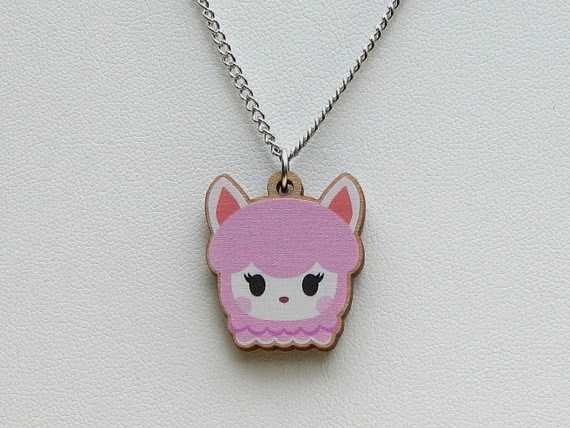 Reese is probably the cutest character in the newest Animal Crossing game and I was lucky enough to get this sweet necklace for Christmas from an equally sweet friend. You can get one for yourself at Natural Pop Shop. 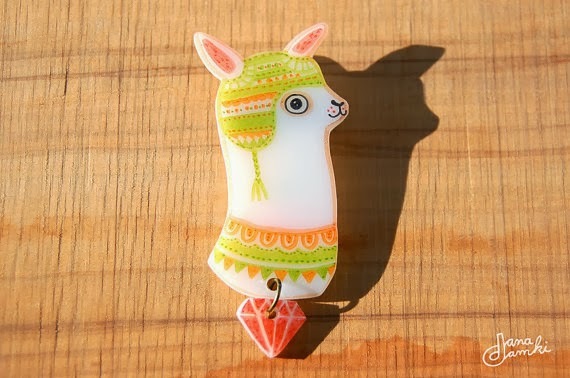 Paul the llama brooch by Danadamki There are quite a few cute llama goodies in this shop! I love this cozy by Sharodactyl. This talented lady definitely gets the cuteness of llamas! 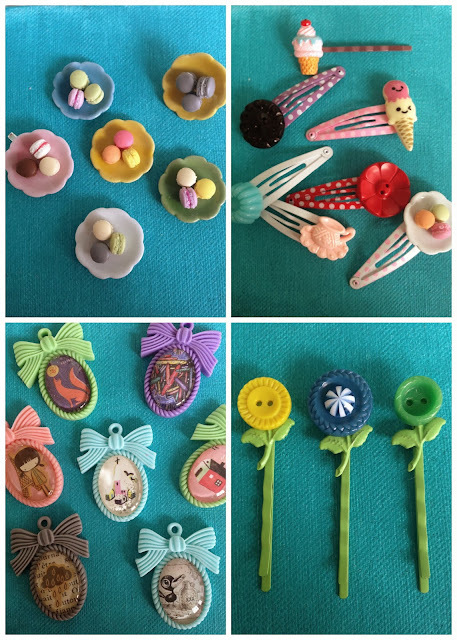 I've been finding time to craft as often as possible, because I really do enjoy making things so much and my craft room is very much a happy space. I also really enjoy sending things I've made to friends and pen pals. I've been able to trade boxes of goodies with quite a few friends and it's just the best! Who doesn't love receiving packages?! Here's what I've been working on lately! This is a bit of graffiti we saw while walking on the Appalachian Trail and I've decided it will be my motto this year. I haven't been completely honest with myself lately and it took a visit to my family doctor to realize that. Taking care of myself has fallen sort of low on my list of priorities and my depression has crept back up again. I think I felt some disappointment in myself. I had been doing so well for a long time and then I just sort of got lazy. I stopped exercising, haven't seen my counselor, and you've probably noticed I've seriously avoided blogging. I've started slowly working on myself again; I've stopped eating my stress and emotions away, I've been busying myself with activities I enjoy like reading and crafting, and, as always, I lean on my amazing friends and family for some extra support. I'm trying to find the motivation to start exercising again, because that will help loads, and I know I need to make a counseling appointment. Everyone can benefit from some good counseling! It feels good to get that all out and it definitely feels good to be back. Thanks for reading! Hello there! I really hadn't planned on such a long absence, but life happens. I hope you all have stuck around and will forgive my silence! I have to say, this year has already had a few rocky moments. I've decided that 2014 will be a great year, though, rocky moments and all! The year has been off to a cold start too and I am already longing for spring. I think that's evident in my dining room decor!